I am from Mexico. I was born in Puebla. 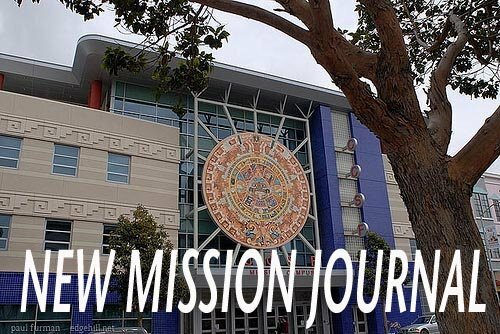 In 2001, I decided to come to San Francisco on vacation, and I started to come to Mission Campus. Two years later I met my husband in the same campus, while I was learning English. We decided to go out on a date. We had so much fun together because we spent most of our time learning from each other. So that's when we decided to get married, and later our son was born. He is a handsome young baby. He is almost 3 years old, and he is very smart. He is the reason that inspires me to improve my English. Now I'm in level 7/8. It is kind of hard sometimes, but I know that it is for my own good, and that I can count on my friends to help me out sometimes. Mr. Robinson, my teacher, is really nice, and he tries to make us learn as much as possible!! I'm trying my best to improve my English because I want my family to be proud of me. 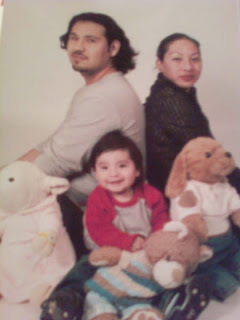 I want my family to always stay together to never fall apart. I love my family the most.